How long before Marvel makes its own Daredevil movie? We've known since last fall that Marvel was going to be getting the movie rights to Daredevil back — last October, there were widespread reports that Marvel was willing to extend Fox's option for a Daredevil film, in exchange for getting to use Galactus in a Marvel movie. But Fox chose the Destroyer of Worlds over the Man Without Fear, and let Daredevil go. 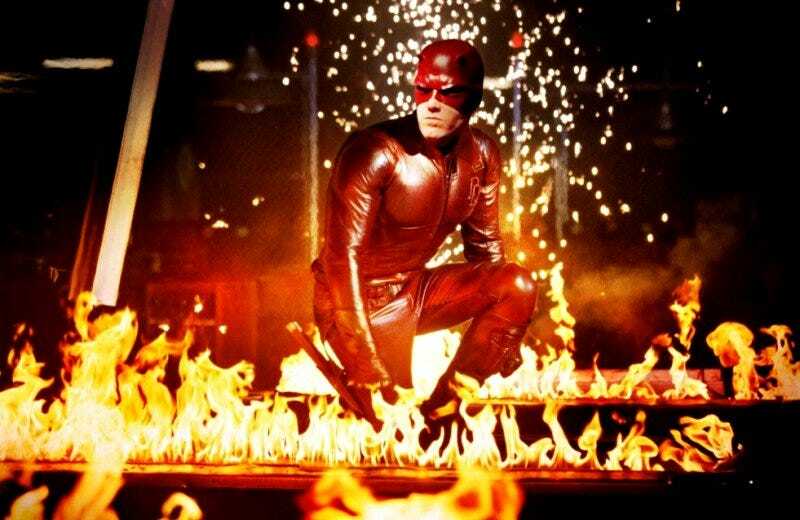 Now, according to Deadline, the jig is up and Fox has officially let go of the rights to Matt Murdock, which means Marvel could make its own Daredevil film whenever it wants. There's still a possibility that Marvel might want to go ahead with the gritty urban take championed by Joe Carnahan (The Grey), but chances are they'll want to start over from scratch and figure out how to integrate Matt into their shared universe.